Epistaxis, or a nosebleed, is generally caused by a broken blood vessel in the nose or sinuses. Bleeding from the nose, especially when blowing it, is very common and usually not a cause for concern. An estimated 60 percent of people experience nosebleeds but only around 6 percent of cases require medical attention. It can be hard to determine what causes broken blood vessels in the nose. However, there are several factors that may contribute to or cause the nose to bleed when blowing it. Blood appearing when blowing the nose may be caused by dry nasal cavities, an injury, nose picking, or blowing too hard. Gently and firmly pinching the nose may be a recommended treatment option for bleeding noses. In most cases, a nosebleed or minor bleeding from the nose eventually stops on its own after a few minutes. There are a few at-home remedies, however, that may encourage nosebleeds to stop earlier or reduce the amount of bleeding. Around 90 percent of nosebleeds occur in the front bottom portion of the septum, the fleshy wall that divides the nostrils. Prolonged or repetitive nosebleeds, or those caused by an underlying medical condition, require medical attention and treatment. If nosebleeds are severe, a person may require more aggressive treatment to prevent extensive blood loss. In many cases, there is no specific way to avoid nosebleeds, but there are some things that may help prevent or reduce the risk of them. 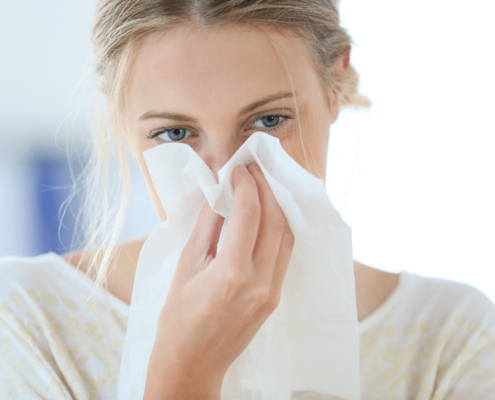 Blowing the nose gently and not picking at the skin can usually prevent minor bleeding. One example of a nasal rinse is a Neti pot. These are commonly available online and can be used at home. If nosebleeds are chronic or repetitive, a healthcare professional should be consulted. People should seek medical attention anytime a nosebleed does not stop naturally within 20 minutes. They should also seek medical attention if it does not respond to initial treatments, such as applying pressure. It is also important to talk with a doctor about chronic or repetitive nosebleeds. Chronic nosebleeds can be a sign of underlying medical conditions, such as blood or inflammatory disorders. Repetitive nosebleeds can also be a sign of nasal deformities or tumors, especially when they only involve one nostril. Bleeding from the nose when blowing it is a common experience. It is usually due to inflamed or damaged nasal tissues and blood vessels, and is not a cause for concern. Nosebleeds are generally harmless, and stop on their own or after applying gentle pressure to the area. Severe or repetitive nosebleeds can be a sign of an underlying medical condition that may require treatment, such blood disorders or obstructions. People should speak with a doctor about severe or repetitive nosebleeds, especially when accompanied by additional symptoms. Preventing of Type 1 diabetes. Does the gut hold the key to prevention? Researchers findings suggest that targeting the gut microbiota might have the potential to prevent type 1 diabetes. However it is unclear whether such changes in gut microbiota are driven by genetic susceptibility to type 1 diabetes or other factors. The team sought to find out with the new study. First, they conducted an analysis of non-obese mouse models that were genetically susceptible to type 1 diabetes. They looked at whether the rodents’ gut microbiota differed to that of mice that were protected against type 1 diabetes, and, if so, whether genetic susceptibility played a role. 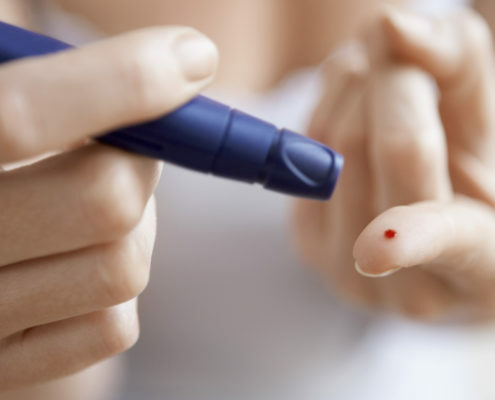 The researchers were able to confirm their findings in a study of humans with genetic susceptibility to type 1 diabetes. Researchers now plan to assess clinical trials of immunotherapies for type 1 diabetes, with the aim of finding out whether the treatment led to changes in gut microbiota. “This research has show there is a genetic component to microbiota and the immune response involved in regulating it. This means that changes in the microbiota in type 1 diabetes occur before symptoms develop, and are not just a side effect of the disease. Therapies targeting the microbiota could therefore have the potential to help prevent type 1 diabetes in the future.